Question: What happens to a visualized buddha at the end of our meditation period, during the dissolution stage? Does this buddha go away? Answer: During the dissolution or completion stage of practice, the buddha we have been visualizing doesn’t really leave—it is only the structure or imagined form that is dissolving. Actually, the buddha never came and the buddha never leaves: it’s all just a display. The very reason this is known as the “completion” stage is because everything is now complete and nothing whatsoever is missing. We are out of the loop of the trap of structure, and are merging with the original, simple, and natural state in which everything is complete. This meditation purifies the notion of death and all the fear and anxiety that can go along with it. 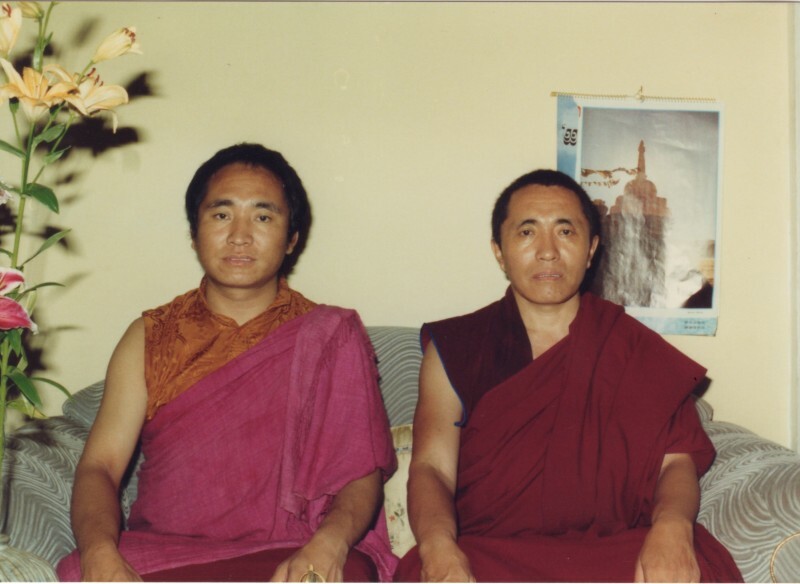 Resting in this awareness without any notion of holding on to structure is known as the “dharmakaya status.” As we briefly mentioned at the beginning of this shedra, there are two types of dissolution or completion stages [rdzogs rim], which many of you already know. First is the “completion stage with characteristics” and second is the “completion stage without characteristics.” When we explore the Anuyoga practices related with the structure of the vajra body, we are talking about the completion stage with characteristics. And when we dissolve the visualization at the end of sadhana practice, we are practicing the completion stage without characteristics. But what exactly are we doing during the dissolution stage? We are merging our awareness back to the three mandalas, particularly the mandala of Samantabhadri, the state of great emptiness [stong pa nyid chen po]. Rest in this realization for as long as you have time. Then, when you finish meditating, you will engage in post-meditation activities. The distinction between “meditation” and “post-meditation” depends on the practitioner. For good practitioners, the meditation and post-meditation states are the same—there is really no difference between them. For many of us, however, there is a difference: we engage in the creation stage, dissolve the visualization during the completion stage, and rest in meditation for a short time after that. Yet when we emerge from meditation, our habit patterns of duality kind of cover up the wisdom state, and we see everything according to our everyday, normal habit patterns.